Some might be reporting this major update as a rumor but according to CNET, the Cupertino-based gadget giant is expected to announce on integrating a new high speed connection type into its hardware, improving the capabilities of USB and FireWire connections. USB and FireWire have been a standard in serving as a PC-to-peripheral connection for a period of 10 years now. According to sources, Apple might announce the new connection type, as soon as this week. Moreover, the company is also expected to announce the new MacBook Pro, whereas it might launch with the new feature. Intel has been working on the high speed connection type for quite some time, with the technology tagged as Light Peak. Originally, the company had to introduce transfers using the fiber-optic technology but later switched it to copper, making it more practical. Apple might be introducing the high-speed connection using the same technology, reported CNET. A few years back Intel demonstrated “Light Peak” using Apple’s MAC OS X at its developer conference. 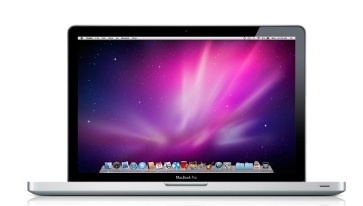 Rumor: Apple Announcing MacBook Air Refresh Today?